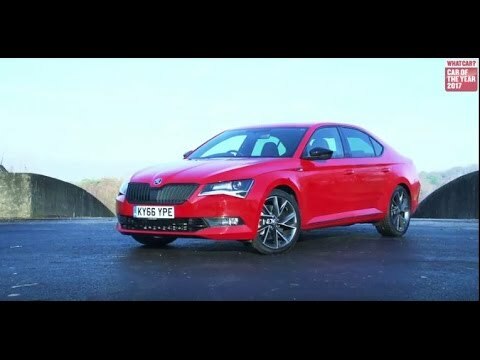 The new ŠKODA Superb raises the bar when it comes to flexibility and space - with 660 litres of boot capacity as standard and a huge 1950 litres with the rear seats down. Throw in a whole host of Simply Clever solutions and practicality has never been so prevalent – be it family excursions or day-to-day errands. Useful extras from the concealed umbrellas to the virtual pedal for contact-free boot access means the new ŠKODA Superb has got you covered – making your life easier. To find out more about the ŠKODA Superb Motability offers contact Terry Ambrose, our ŠKODA Motability Expert, on 01296 321740 . These vehicles are tested according to WLTP technical procedures. Figures shown are for comparability purposes. Please refer to and use the fuel consumption figures marked WLTP and the CO2 emissions figures marked NEDC equivalent for comparisons as from 1 January 2019. These are the official figures for the UK from 1 January 2019 and until further notice. Avoid making comparisons using the fuel consumption figures marked NEDC equivalent after 31 December 2018 or the CO2 emissions figures marked WLTP before 6 June 2020 – these figures are not official after/until that date and are provided for information only. Only compare fuel consumption and CO2 figures with other vehicles tested to the same technical procedures. Due to more realistic test conditions, the fuel consumption and CO2 emissions measured under the WLTP are in many cases higher compared to NEDC equivalent data. Figures may not reflect real life driving results, which will depend upon a number of factors including the accessories fitted (post-registration), variations in weather, driving styles and vehicle load. There is a new test used for fuel consumption and CO2 figures (known as WLTP). The NEDC CO2 figures shown however, are based on a calculation designed to be equivalent to the outgoing test cycle and will be used to calculate vehicle tax on first registration. Choice of wheels and other options may affect fuel consumption and emissions data. For more information, please see WLTP Info or contact your local HUGHES ŠKODA.